When you have fine hair, the biggest enemy isn’t necessarily frizz or dullness. It’s more along the lines of a major lack of volume, with a proclivity for getting greasy faster than our coarser counterparts. The many, many small strands each have their own follicle that produces oil, making it that much harder for the volume-deficient hair type to stay lifted and hold styling. Now, bulk up your defenses with the perfect haircut? You’ll be headed in the right direction, which for fine-haired women, means up! A short haircut is always going to help you get rid of the weight that’s pulling those limp strands down—fast. If you have thin hair, a blunt cut will feign thickness; and a pixie cut makes those strands feather-light and much more pliable for styling. 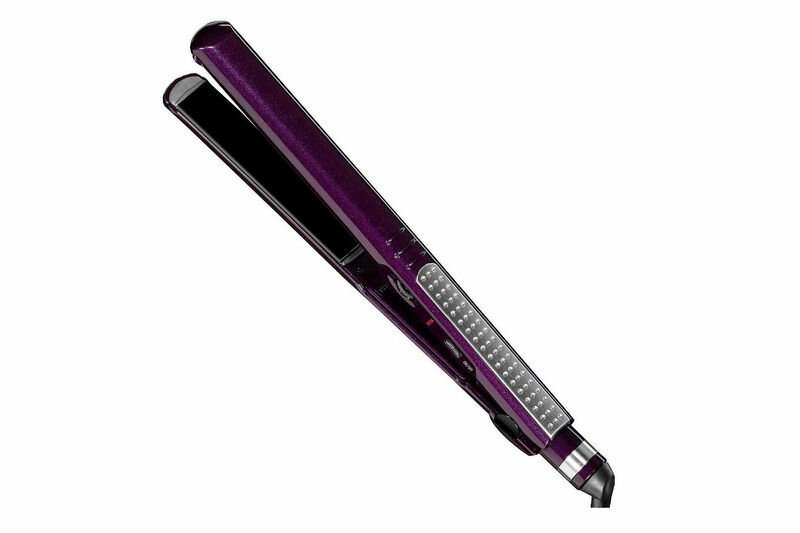 For thick hair, well-placed long layers give dimension and volume to your bobs and lobs. (Fine hair doesn’t necessarily mean that you don’t have a lot of hair; it’s just referring to the diameter of the strand.) There are even some bangs that won’t look like they were glued down to your forehead. 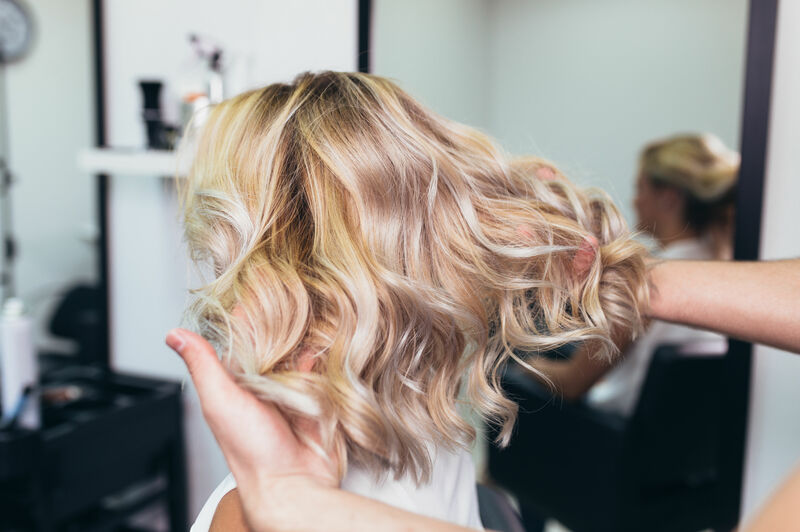 This hair type might be a fickle thing, but these gorgeous short hairstyles for fine hair will help you master it in a few snips. 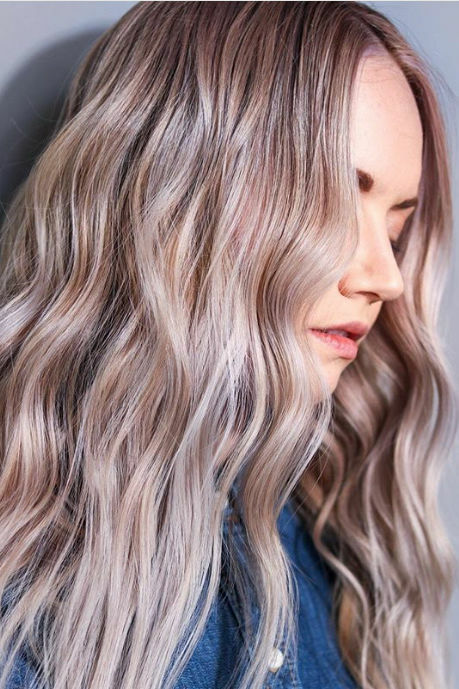 These styles are all about creating volume. 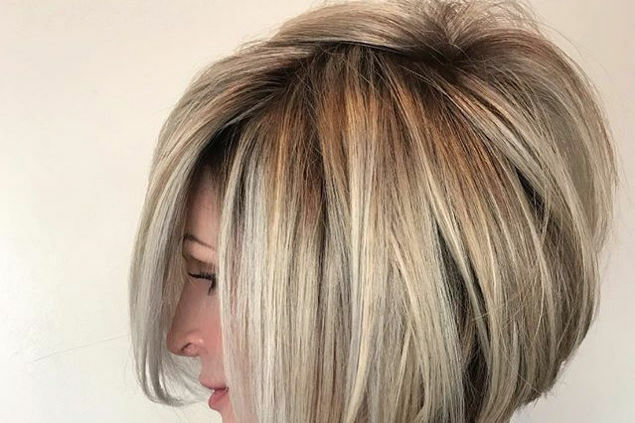 Play up texture and layers with an asymmetrical pixie, a short cut that usually features a deep part with long side-swept fringe and an ultra-short side or undercut near the temple. You’ll be able to give plenty of lift and volume to the hairstyle without going completely simple and straight. For fine hair that lacks body, a bob is a versatile style to choose for its classic and flattering finish. A blunt bob will make ends look thick and full, while the short length will make sure the hair isn’t too weighed down or flat. If you’re feeling extra sassy, add some bangs for a modern twist. We’re talking Mia Farrow-esque pixies that crop it short and feign some thickness for fine hair. With super short sides and ever-so-slightly longer top and fringe, it’s feminine and classy—and shows off that bone structure! You’ll love the low maintenance styling of this elegant ‘do. These curtain bangs let you avoid major flatness (that often comes with straight-across bangs) by layering each side for dimension and volume. Especially with a good blowdry and some volumizing product, these fringe bangs will make a less-than-flat statement on fine hair. Pair these with your shaggy lob or layered bob. 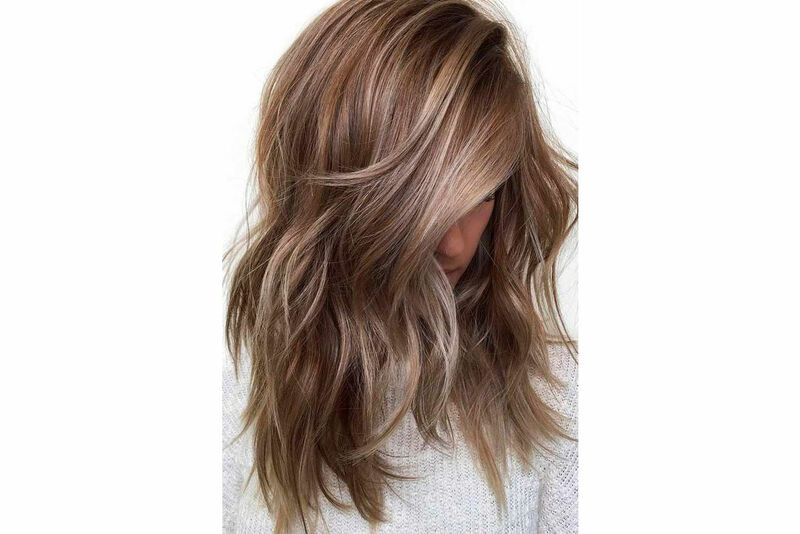 If you’re going with a lob-length or medium-length hairstyle, long layers will help give movement and fullness to fine hair. Too many layers, or super short layers, can make the hair look thinner or piecier, which isn’t the most flattering for those with fine hair. 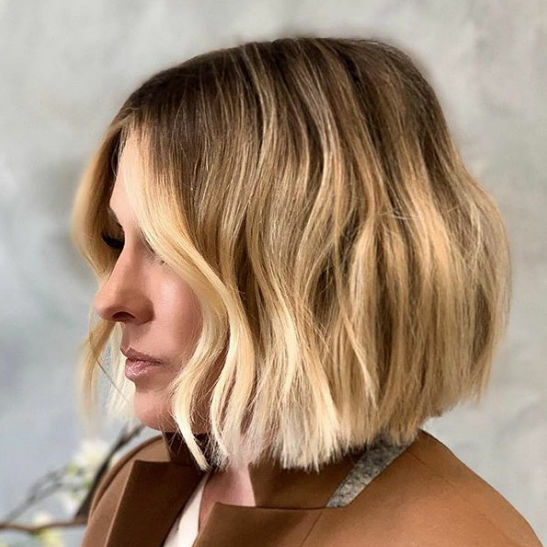 An A-Line bob looks slightly angled and is shorter in the back, but doesn’t have stacked layers; while a graduated bob features some stacked layers towards the back. Either style will look great with fine hair because they both let you amp up the volume on the backside. It’ll feign body and fullness, especially towards the back crown. Blunt ends will make fine hair—whether your head of hair is thinner or thicker overall—look super lush. The blunt lob is as close as any haircut gets to universally flattering or one-size-fits-all. We’d be hard-pressed to find someone it wouldn’t look good on. If you’re interested in keeping things sleek and stylish, a short chin-grazing bob might be your best look yet. The fashion-forward length lets you accentuate your bone structure, while keeping styling to a minimum. This trendy cut looks great with a deep side part, tucked behind the ear, too! Embrace your fine texture with wispy bangs that’ll add a light and airy finishing touch to your blunt bob. The sparse style won’t have the flimsy, flat look that full bangs on fine hair sometimes gives. Low side parts are seriously trending this year already, and it basically looks like a deep side part that’s angled more towards the front for a subtle asymmetrical feel. It works great for sleek and smooth looks like this, but can work just as well for a wavy bob or straight lob. It’ll let your fine strands work for you. A super short pixie looks great on fine hair, and you can play with your texture to get some volume out of it. This style works if the hair up top is a little longer than the sides, and you’ll benefit from using some pomade or texture spray to help with hold. The short length will keep fine hair from going flat!